The Peanuts gang seen through the eyes of today's greatest cartoonists in loving tribute to Charles Schulz. In celebration of Peanuts' 65th anniversary, BOOM! has teamed up with some of the greatest cartoonists of the last 50 years to put a personal spin on Charlie Brown, Snoopy and their beloved gang. 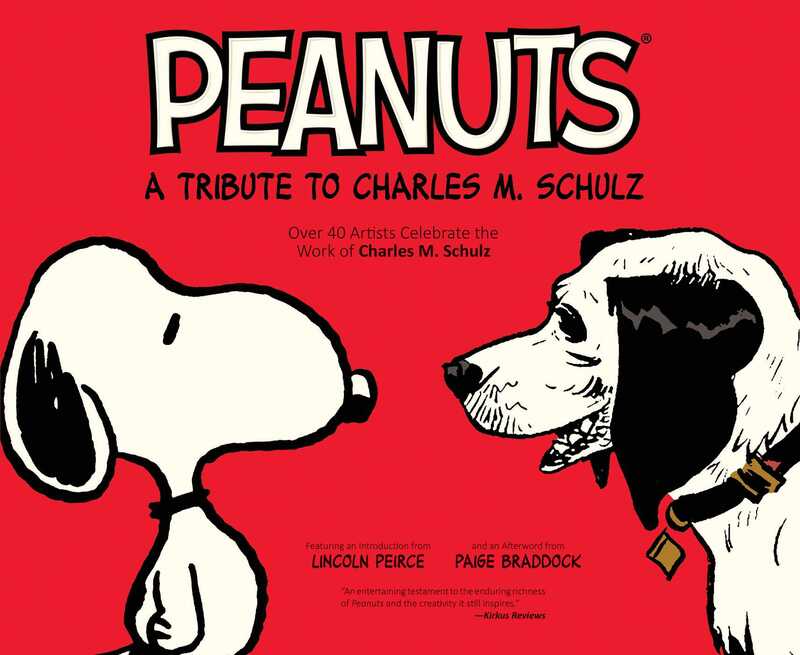 This collectible hardcover features never-before seen art styles from Matt Groening (The Simpsons), Jeffrey Brown (Darth Vader and Son), Raina Telgemeier (Smile, Drama), Terry Moore (Strangers in Paradise) and other legendary cartoonists and authors whose love of Charles Schulz's syndicated comic strip influenced a life long love of art and storytelling that shaped their careers. Contributions include art from Paige Braddock, Patrick McDonnell (Mutts), Mo Willems (Don't Let the Pigeon Drive the Bus! ), Jen Wang (In Real Life), Roger Langridge (Snarked, Jim Henson's The Musical Monsters of Turkey Hollow), Art Baltazar (Tiny Titans), Lincoln Peirce (Big Nate), Liz Prince (Tomboy), Stan Sakai (Usagi Yojimbo), Paul Pope (Battling Boy, Batman: Year 100) Evan Dorkin (Sock Monkey, Maakies), and more.